Victoria has a new activity and place for fun and nostalgia right in the downtown core. Quazar Employee Jules Loiselle. Photograph by Belle White. You can almost hear The Who singing “Pinball Wizard” as you step into Quazar’s Arcade in Victoria’s Trounce Alley. 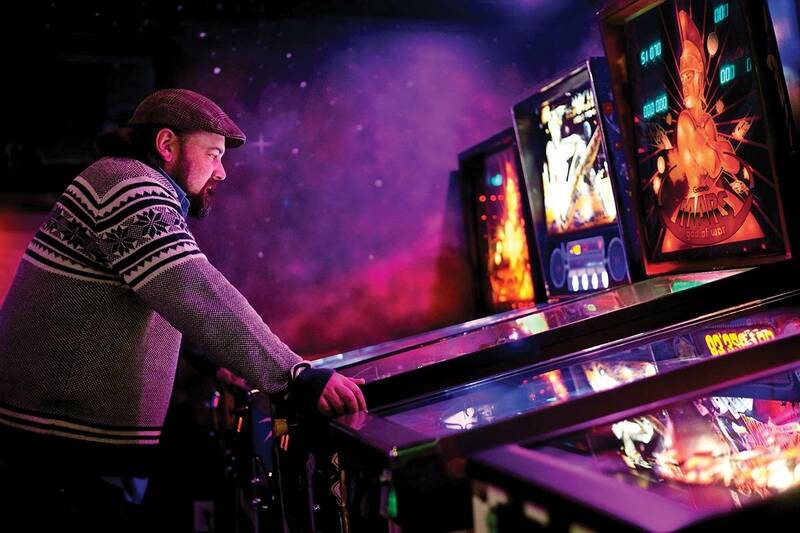 With about 40 games on the floor at any one time, and an additional 40-plus being restored, Quazar’s is a hub for rare pinball games like Alien and Indiana Jones and rare arcade games, including an original Space Invaders. “Seeing kids playing these games with their mothers and fathers and watching their eyes light up is really fun,” adds Webb. While the surge of digital pushed pinball machines from favour, some savvy collectors snapped them up for peanuts. Now, an arcade renaissance is driving up the price of these machines as new ones hit the market and collectors sell for top dollar. Many of Quazar’s machines were purchased from a collector on Vancouver Island. “When we saw her collection it was mind blowing,” says Lafreniere. Also mind blowing was an Instagram congratulations to Quazar’s from actor Jeff Goldblum of Independence Day and Jurassic Park fame, who Lefreniere has met a few times. The Quazar’s boys are now hoping Goldblum will visit in person. And yes, they do have a Jurassic Park pinball game for if and when that day comes.